Need a hand finding the best new vans on the market? We've got you covered. Remember when large vans were basic workhorses and stripped of anything apart from the very barest of essentials? Creature comforts amounted to a cassette radio – if you were one of the lucky ones – but pretty much nothing else. Fortunately, things have changed. 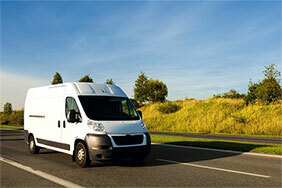 The best modern vans are smooth, responsive to drive, and packed full of the latest gadgets. Here we take a look at the most impressive models in the competitive 3.5 tonne market, which is the largest size you can drive on a standard car licence. A seriously impressive van that comes in a choice of three vehicle lengths – medium, long and long plus – as well as three roof heights. Gadgets include a driver assistance system that uses radar to monitor your distance from other vehicles in front and alerts you if you get too close. The Crafter also boasts being a back-to-back winner of Parkers’ Best Van of the Year award, with the respected guide praising it for being ‘exceptionally easy to drive’. 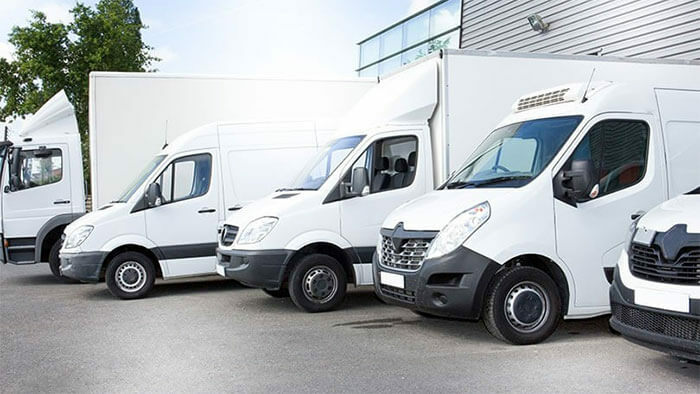 As with many vans in its class, the Sprinter comes in numerous variants and has been praised for being comfortable and easy to drive. Comfort is certainly high on its list of priorities, with fully adjustable electronic driver and passenger front seats, and a multifunction steering wheel packed full of controls. It also has a DAB radio fitted as standard, an MBUX infotainment system, and a high resolution 7-inch touchscreen with voice control. It’s the name that everyone associates with vans. The first Transit rolled off the production line back in 1965 at a time when a side-loading door was the height of innovation. Today, the largest Transit available comes in a number or variants, including a straightforward panel van and a double-cab-in-van with a second row of seats. While arguably not as attractive as its rivals, it’s still cheaper than many in its class and offers a decent level of technology – which is why it regularly tops the sales charts. There’s a lot to love about the Peugeot Boxer, which was introduced more than a decade ago, including an impressively large load area. While some rivals in this space are arguably more refined, the Boxer remains easy to drive, responsive and has plenty of space for all three passengers upfront. It also looks great and offers an ‘office on wheels’, with a 5-inch touch screen, Bluetooth connection and various storage compartments. The Movano carries Vauxhall’s hopes of gaining more of a foothold in the fiercely competitive light commercial market. It’s stylish and flexible, with a large cargo capacity and a variety of choices when it comes to engines and transmissions. 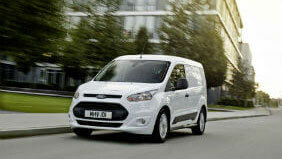 Although comfort has been increased in the cab, it still trails rivals such as the long-established Ford Transit. This van has been in production for almost 40 years – and the most recent version shares its design with both the Citroen Relay and Peugeot Boxer. Drivers are keen on the Ducato for its high-set driving position and generous amounts of storage inside the cab, according to Honest John Vans. “Throw in good levels of equipment, generous maximum payloads and a tight turning circle and the Ducato is a solid workhorse of a van,” it says. Jointly developed with Fiat and Peugeot, it won’t be a surprise to say the Relay has more than a few similarities to the Ducato and Boxer, respectively. 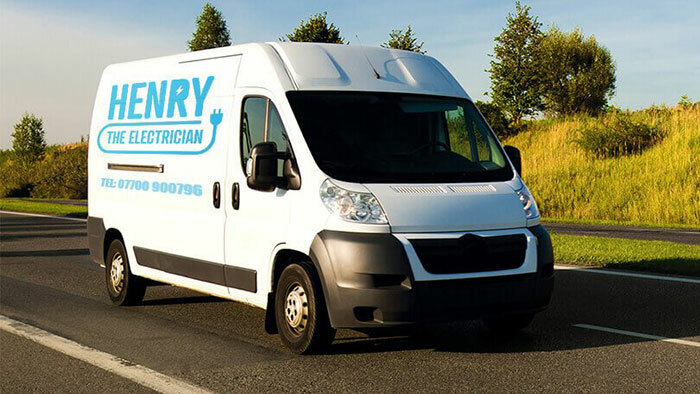 This is a van for getting work done – whatever the trade – which is why it’s offered in four lengths, three wheelbases and three heights. However, it’s not just practical. The cab is equipped with USB ports, lumbar support and a leather steering wheel. It might be the cheapest van on the market but it’s still pretty well-equipped with standard equipment that includes cruise control, air conditioning and parking sensors. The force behind the LDV brand is SAIC, the largest automotive company in China that produces around seven million vehicles every year. The V80 comes in three variations – low roof short wheelbase, medium roof long wheelbase and high roof long wheelbase. For the money, it’s a definite contender. Another van with plenty to offer, including a high payload capacity, strong engines and enough interior extras to meet most needs. Depending on the option you go for, you can get access to rear-view cameras, parking sensors, climate control and a pivoting seatback table with clipboard holder. It might lack some of the refinements of some rivals, but the Master is hugely practical and definitely worth a look. It’s a relatively new entrant into the market, with truck and bus maker MAN introducing it for sale in the UK at the back end of 2017. However, it has the right pedigree, especially given the fact that it shares most of its parts and design with Volkswagen’s impressive Crafter. One of the major benefits of the TGE is its impressive service, with extended workshop opening hours and 24-hour breakdown assistance. This is effectively Nissan’s version of the Renault Master, albeit with some styling differences, so is a strong contender among large vans on the market. The cab is spacious and convenient, with reviews highlighting the quiet engines, as well as the standards of comfort and general reliability. It comes with a five-year/100,000 miles manufacturer warranty, as well as long service intervals of two years – or up to 25,000 miles – between oil and filter changes. The Italian manufacturer has years of experience building larger commercial vehicles and has channelled its expertise into the Daily. This truck heritage can be seen in its structure, with a separate chassis and bolt bolted on, as opposed to the all-in-one approach of other manufacturers. 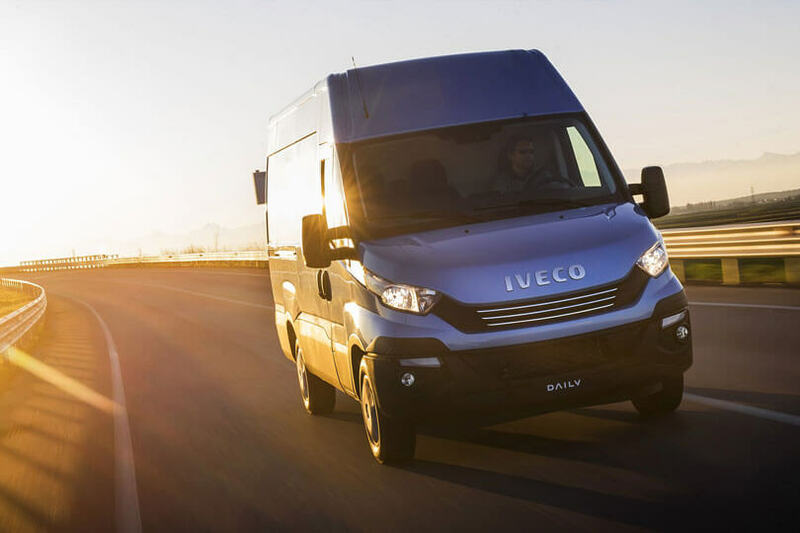 Although Iveco’s main strength are in larger models of up to 7.2 tonnes, it does offer body sizes – and engine options – that meet the 3.5 tonne limit.